Get revitalized during your time in Arlington, and go home feeling your absolute best. You'll find fun for body and soul during your Arlington stay. Sometimes you just need to take time for yourself. If true pampering is what you seek, steal away for an hour or two at a local spa or wellness center. 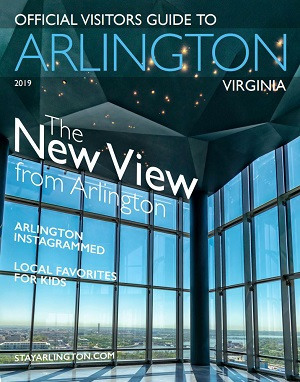 From reflexology to facials to hot stone treatments, Arlington’s many day spas will leave you refreshed and rejuvenated in no time. Some even offer special express treatments for a quick pick-me-up. If solitude in nature is more what you’re seeking, try a visit to one of Arlington's many trails or parks. Fort C.F. Smith Park is a 19-acre site with a ½ mile walking trail, an ornamental peace garden and the chance to see wildlife in its natural habitat. Potomac Overlook Park in North Arlington contains 70 acres of woods, trails, educational gardens, a small picnic area and a Nature Center. And Theodore Roosevelt Island, a 91-acre wooded island sanctuary containing a memorial plaza, is a fitting tribute to President Theodore Roosevelt and provides a quiet place to get away from it all.